+ homemade GF waffle cones + gourmet toppings +art + Games + community + you! Stand closed for winter. Please reach out to us about wholesale, special orders and events. We are closed for the winter! We will open up again in the spring, as soon as it get’s warm enough for ice cream. Probably early to mid-April. Thanks for a great season! See you next year! Both the soft-serve and the vegan ice creams are DELICIOUS! Eclectic and quality toppings. Balsamic reduction is one of my favorites. Gluten free/vegan waffle cones are yummy. Best vegan ice cream I’ve ever had! Adorable little creamery truck built into an RV located in IX Art Park. 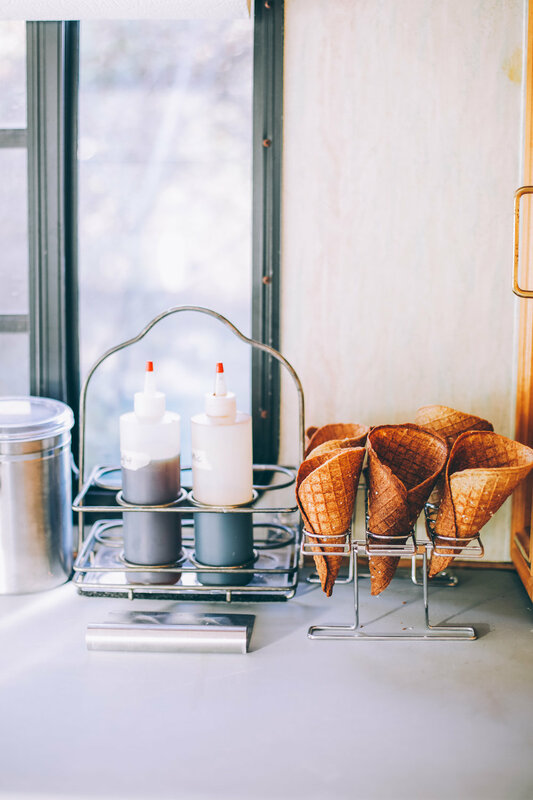 They have grassfed custard vanilla and an entirety plant based maple vanilla which you then add various delicious toppings to and put in your choice of a cup, regular or gluten free and vegan cones. I will definitely be back.